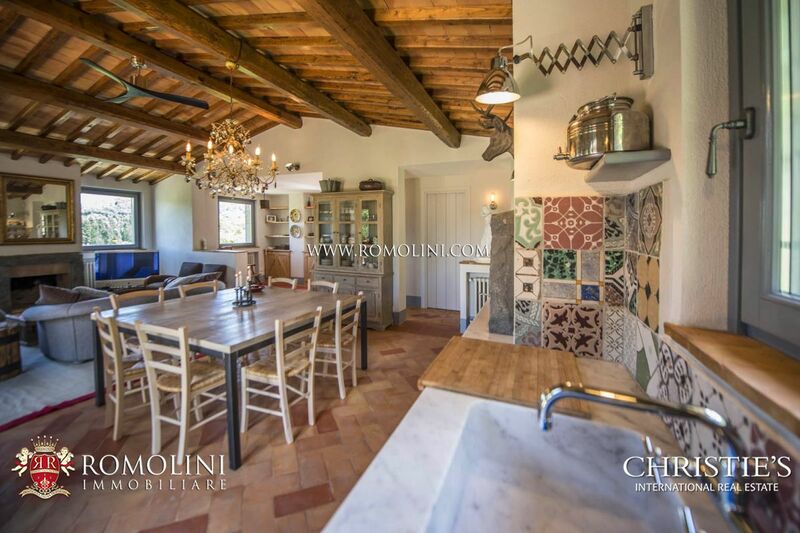 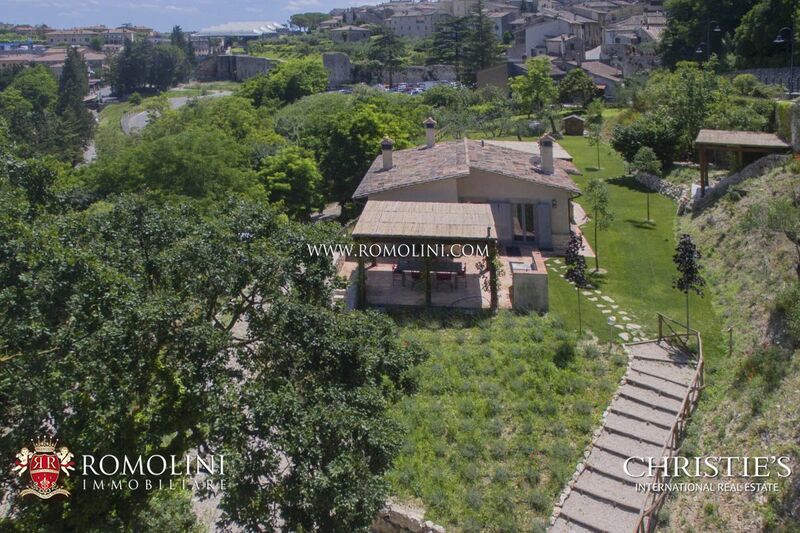 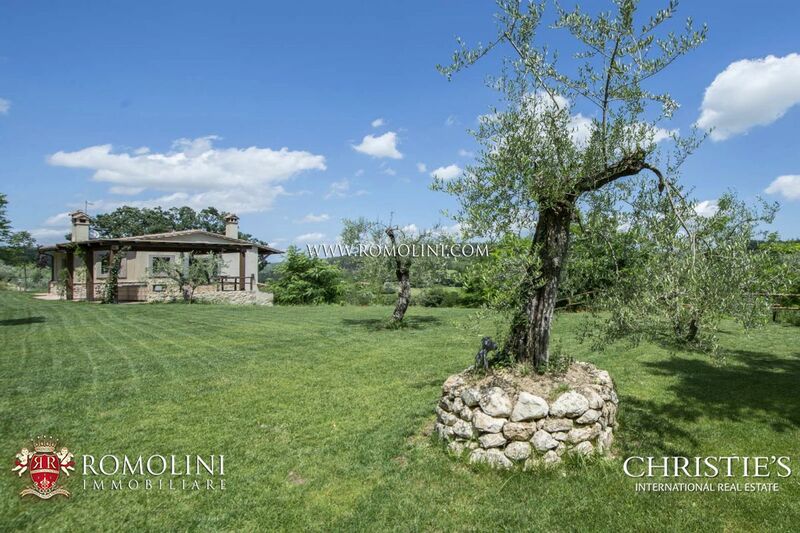 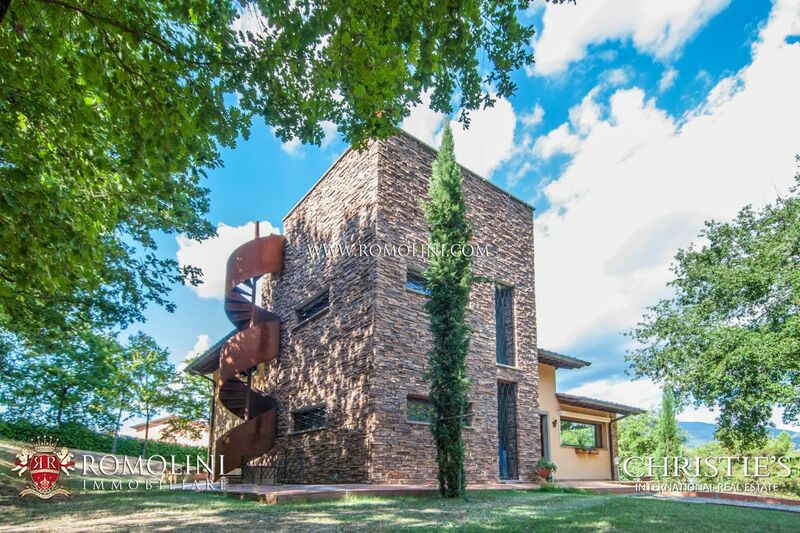 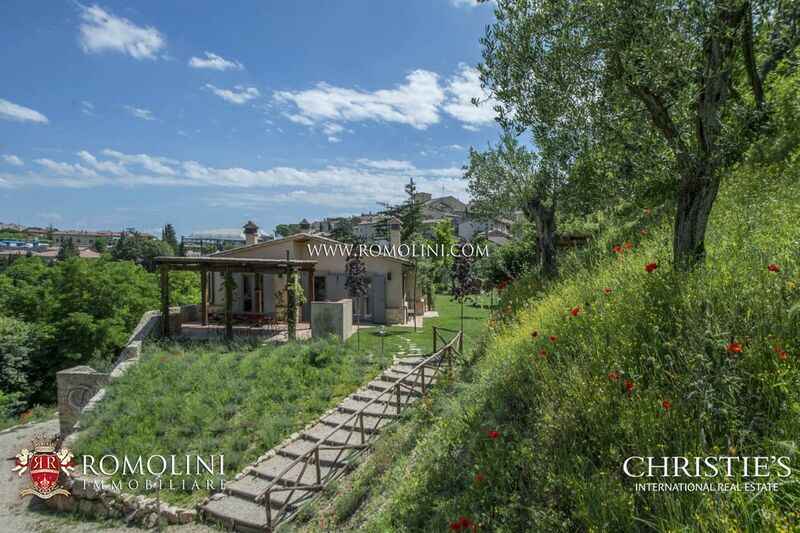 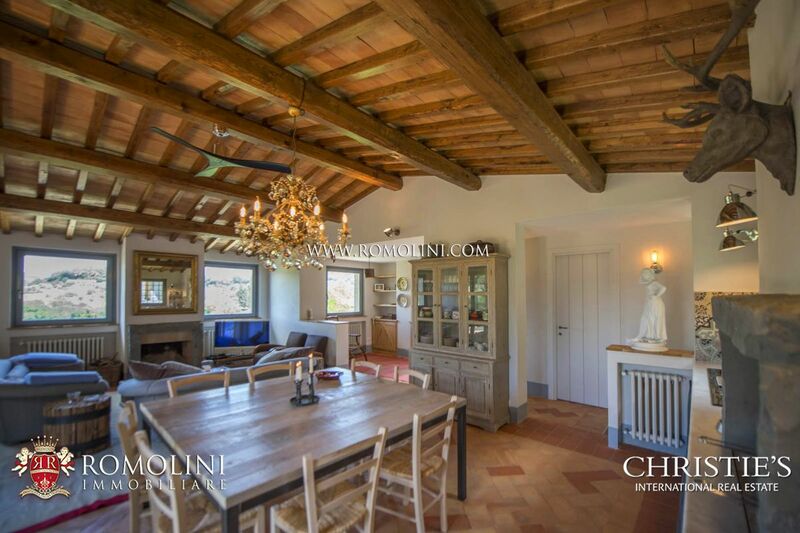 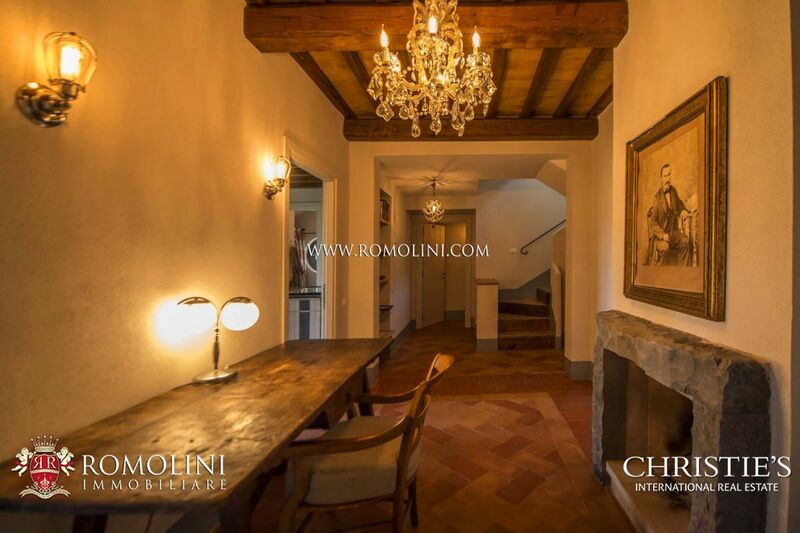 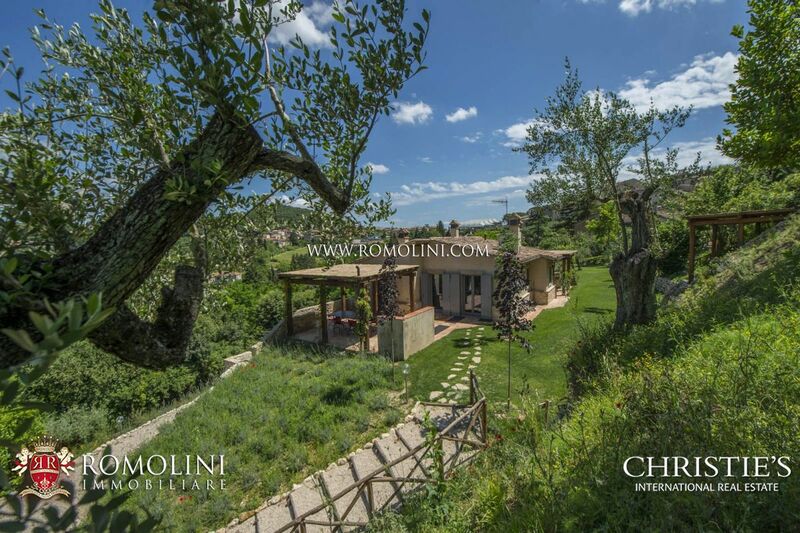 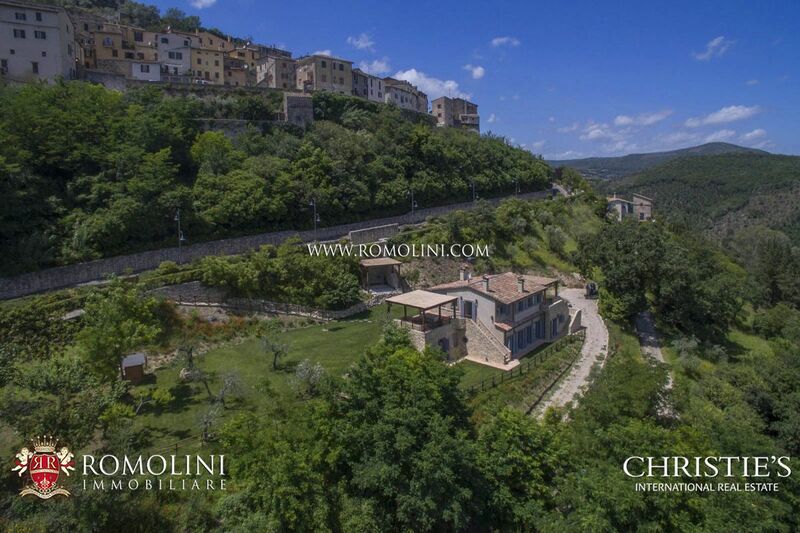 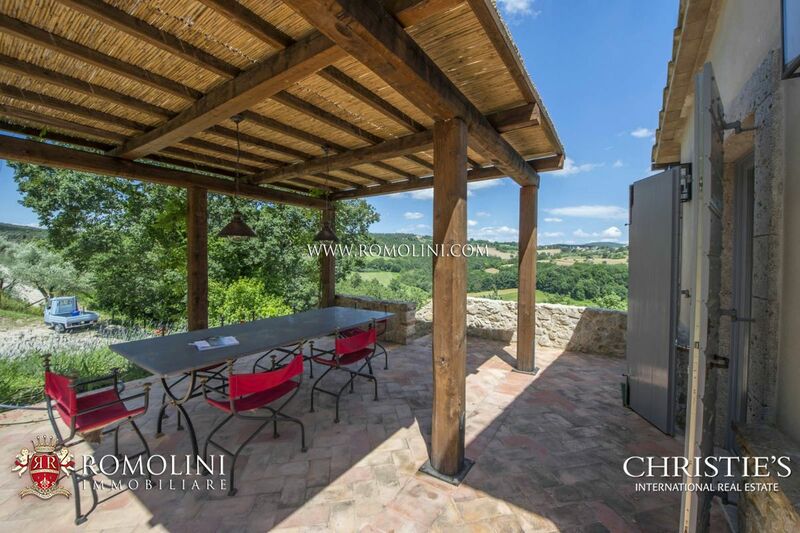 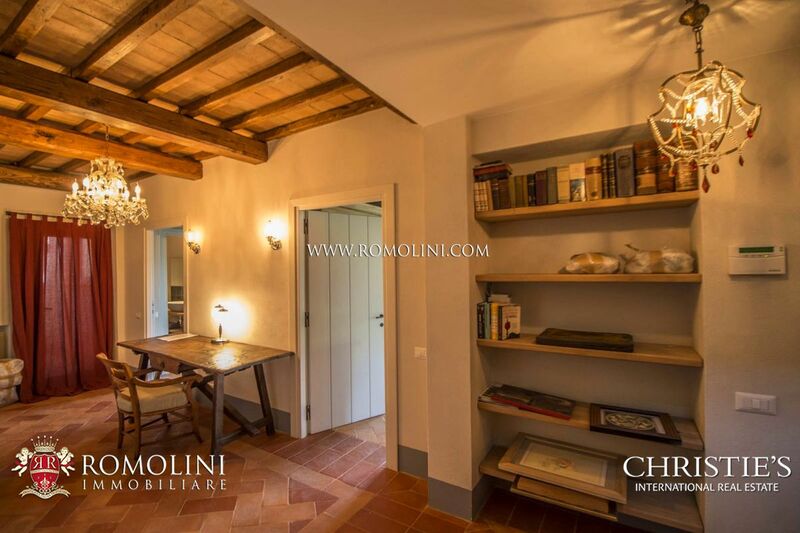 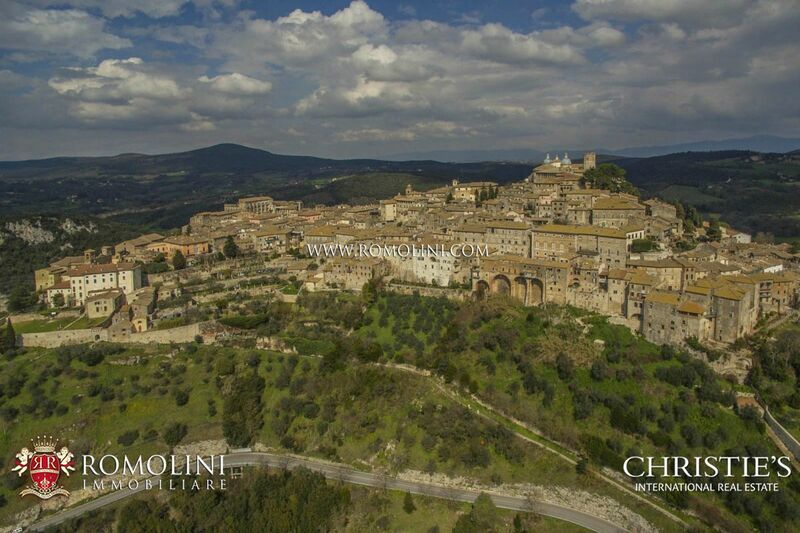 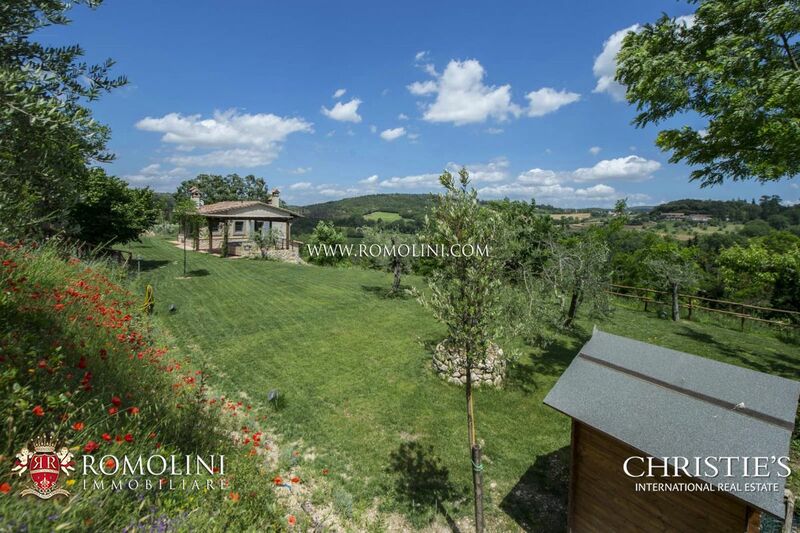 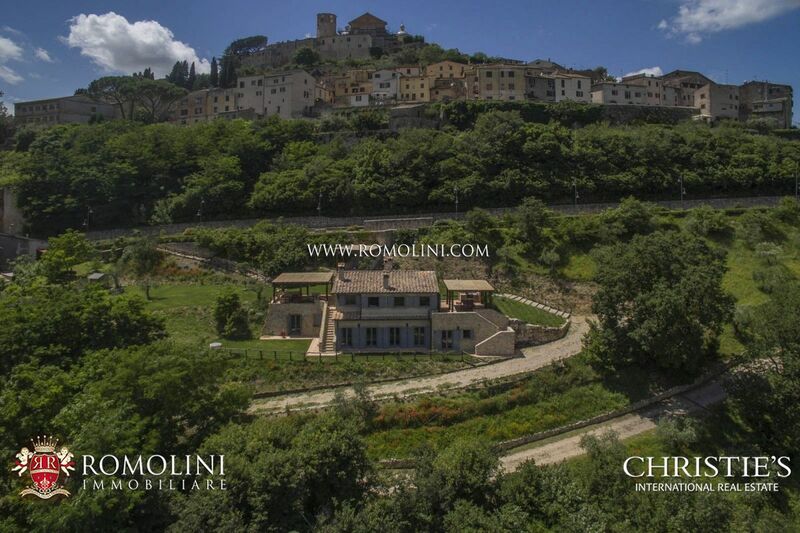 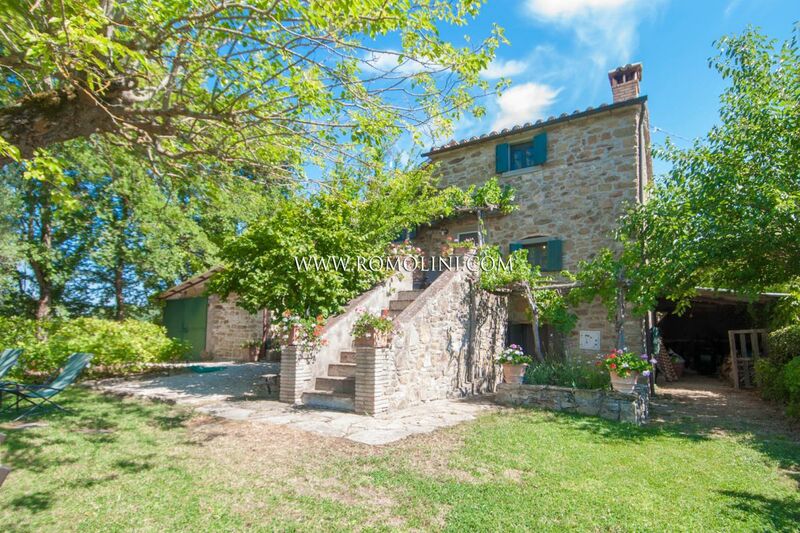 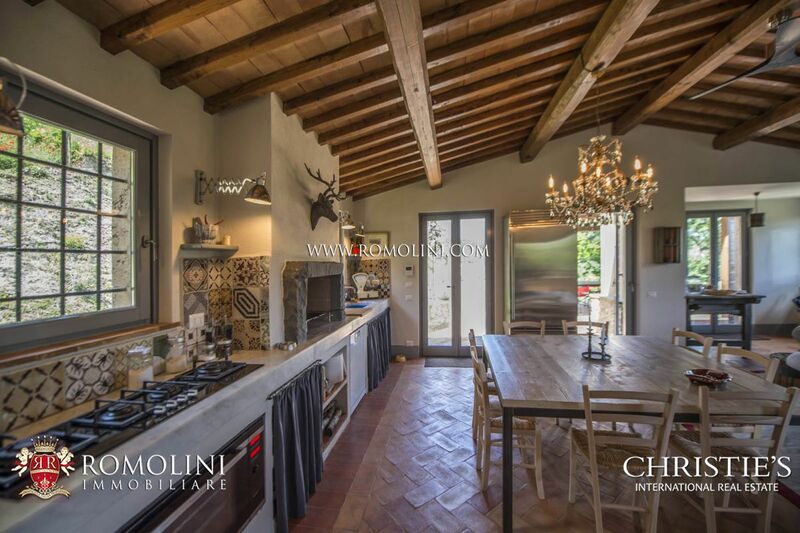 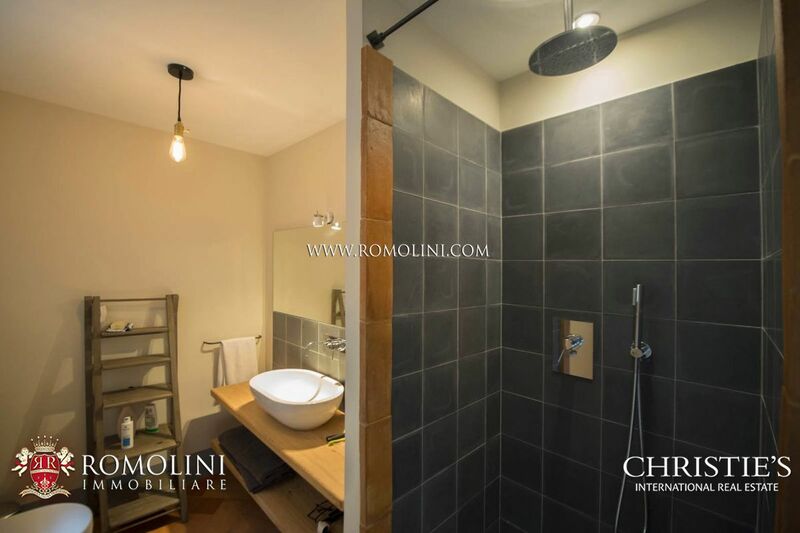 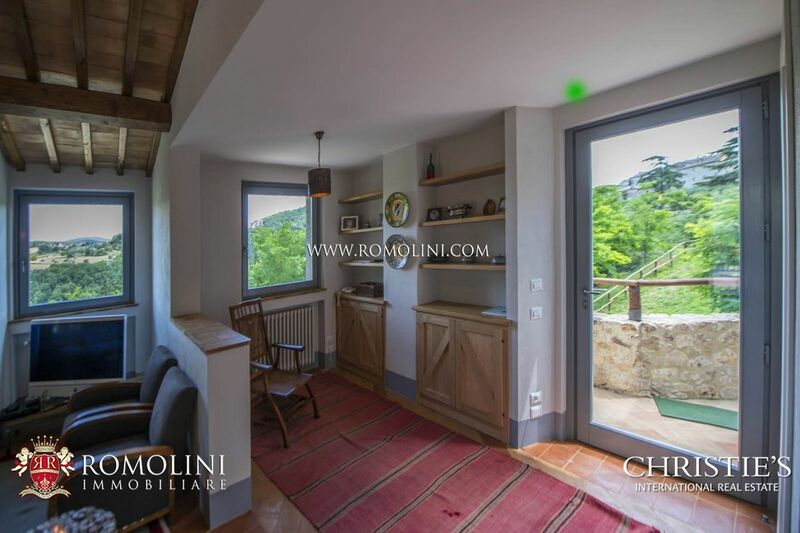 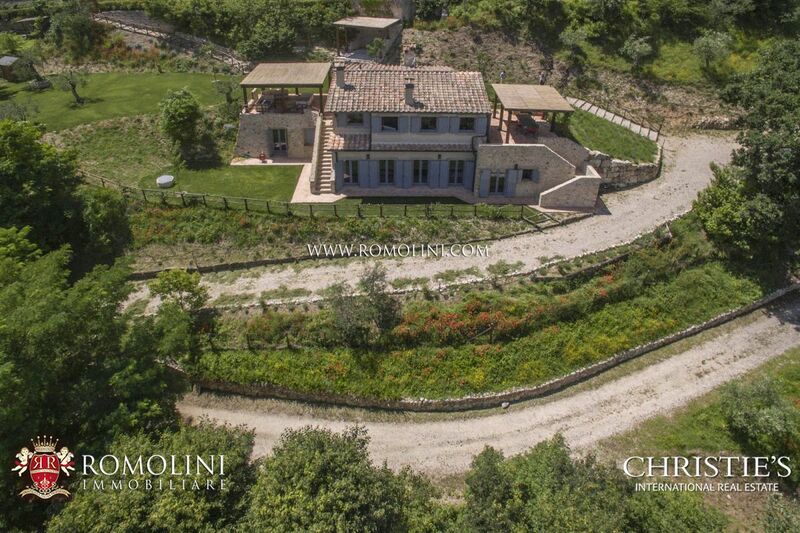 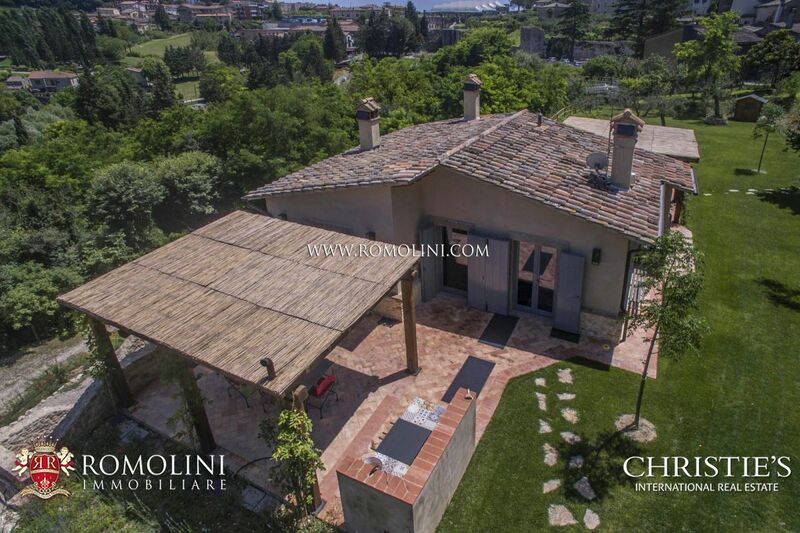 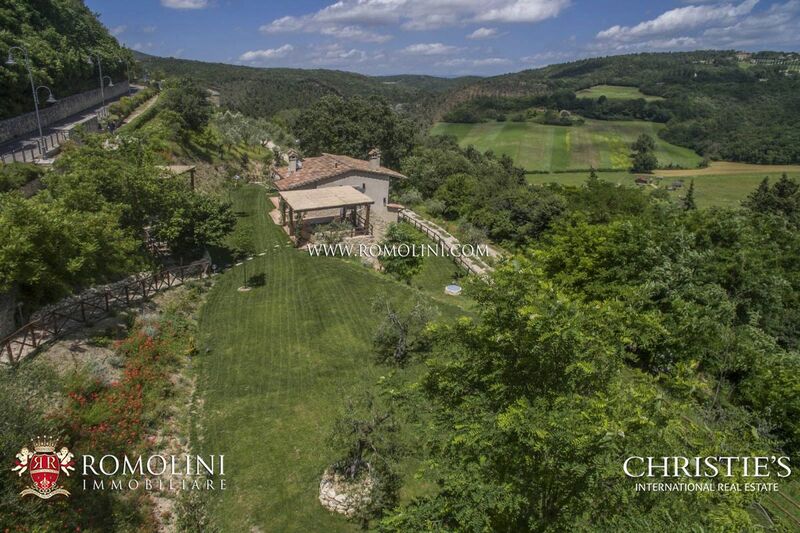 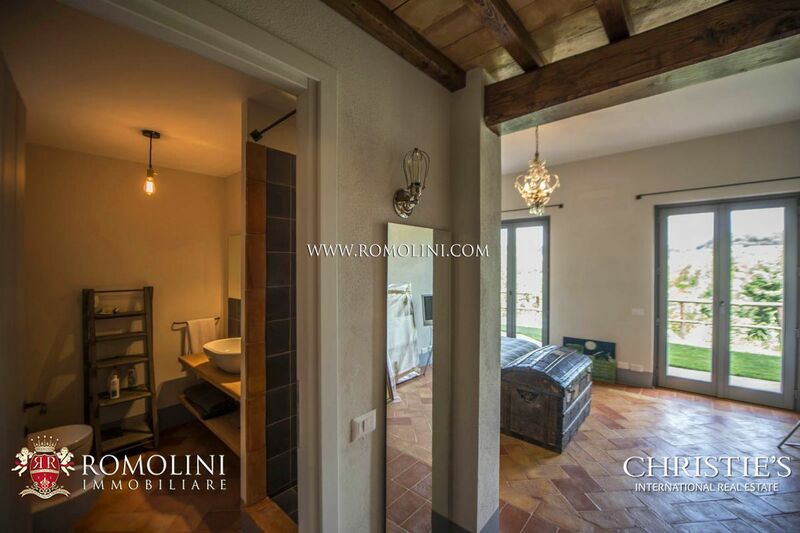 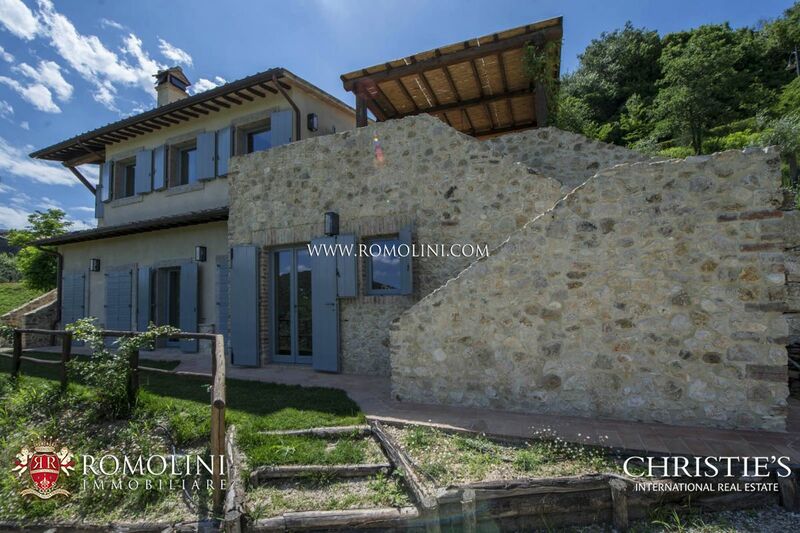 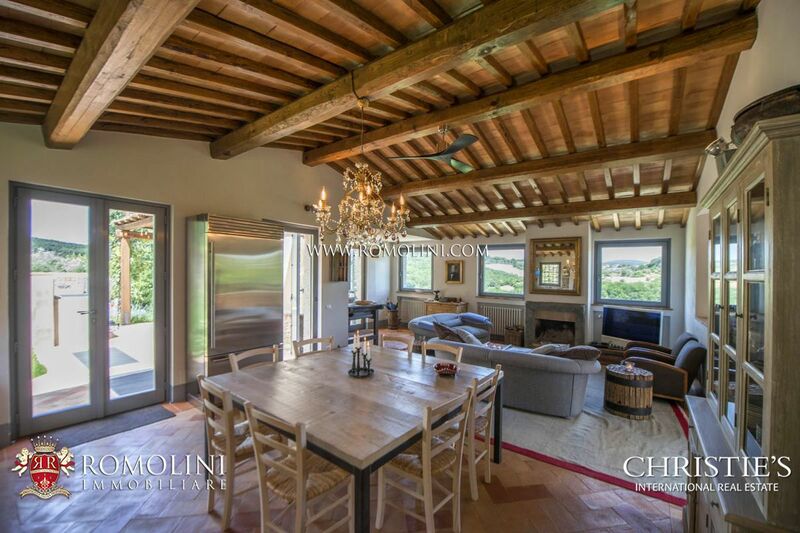 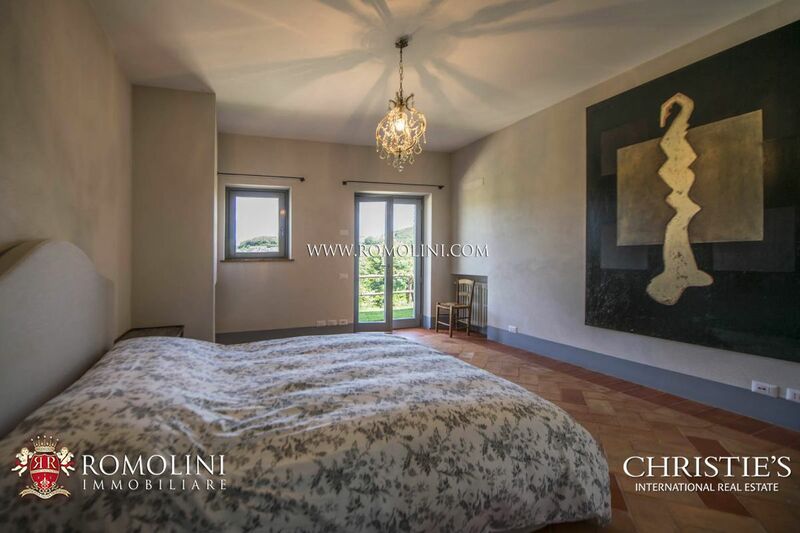 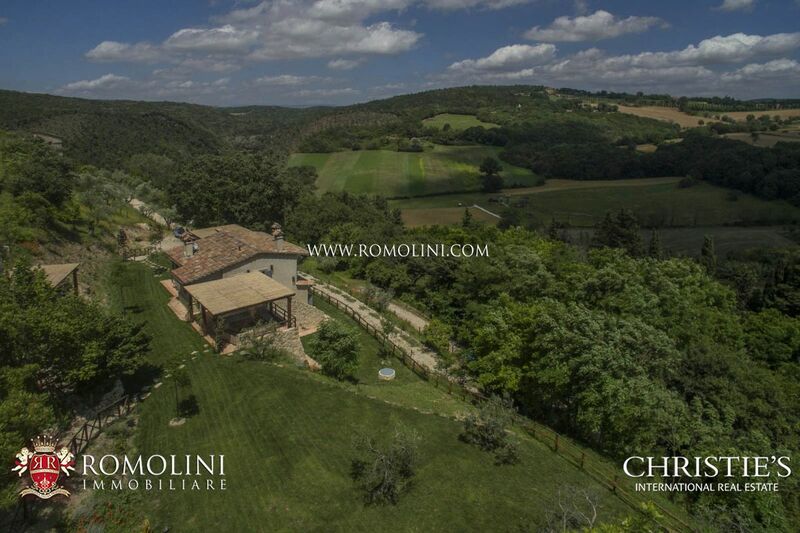 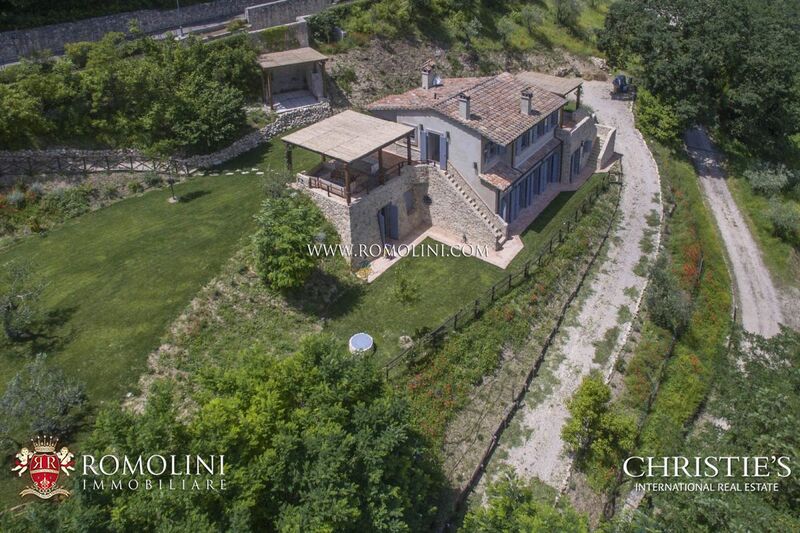 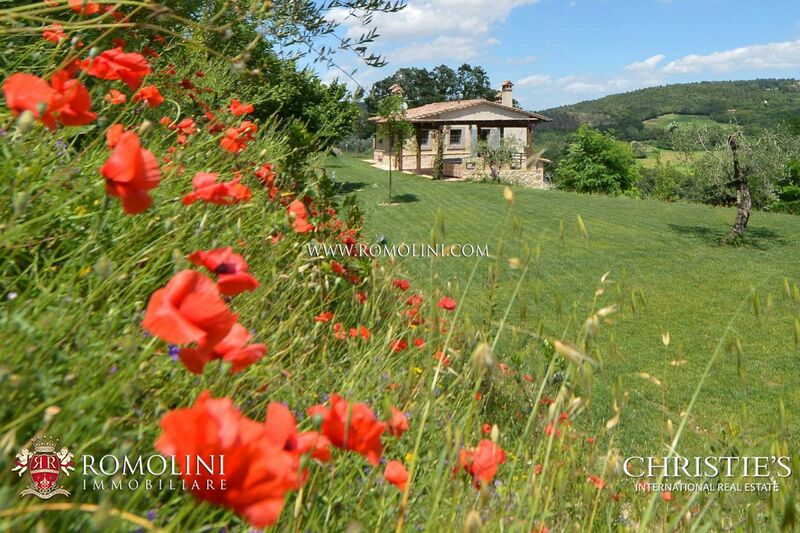 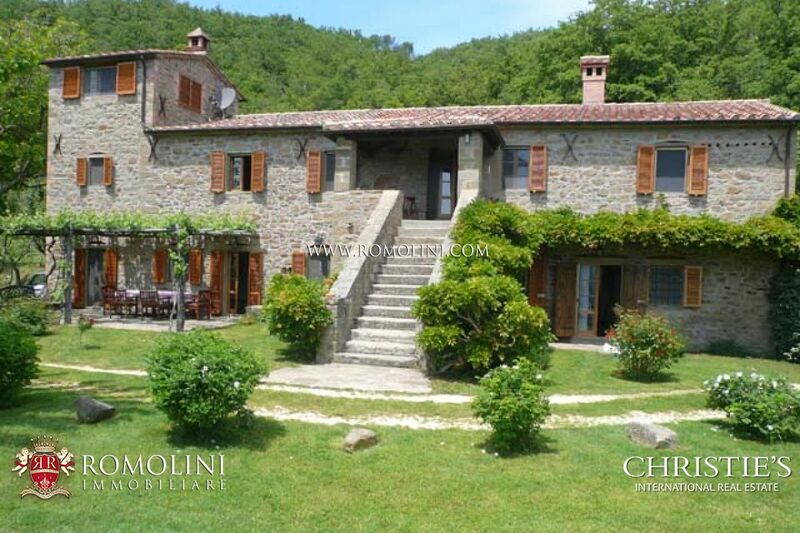 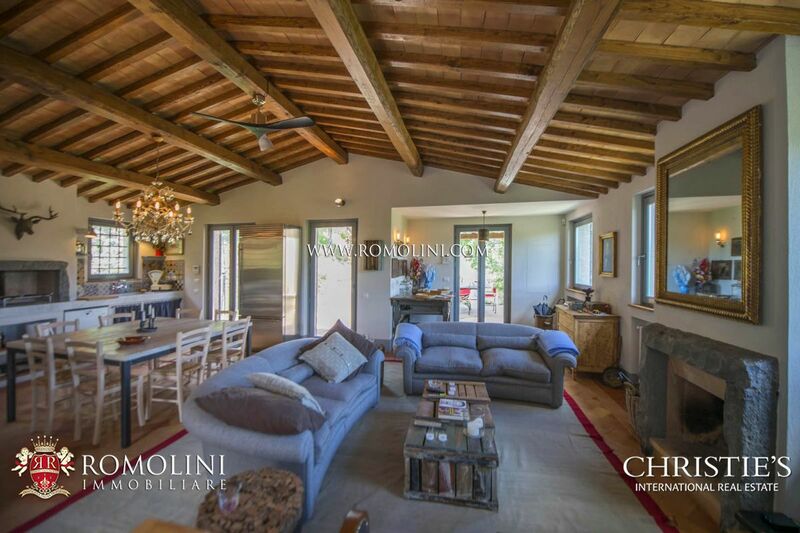 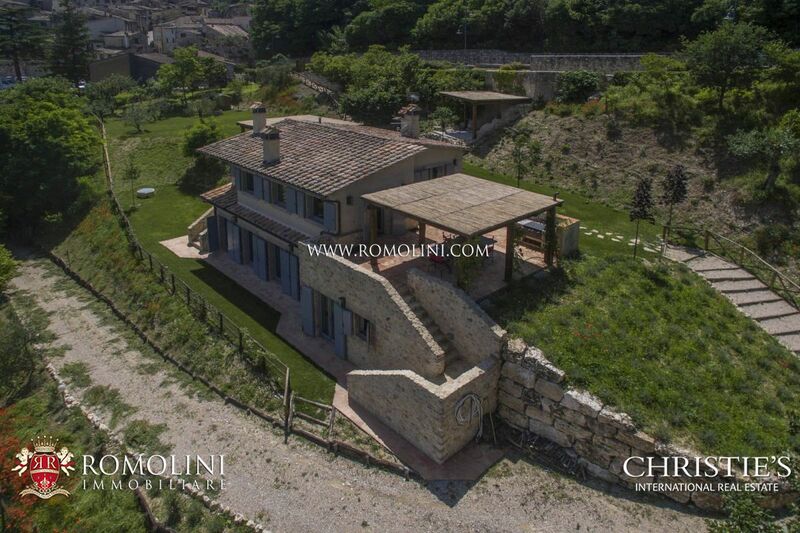 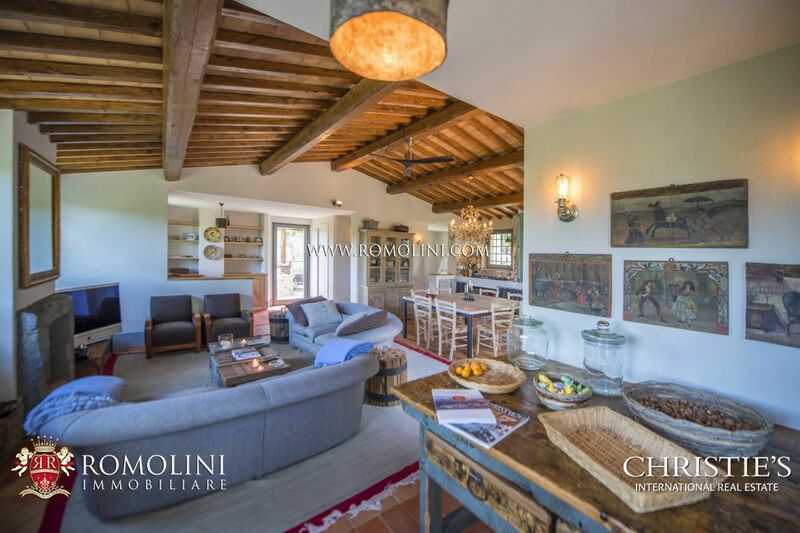 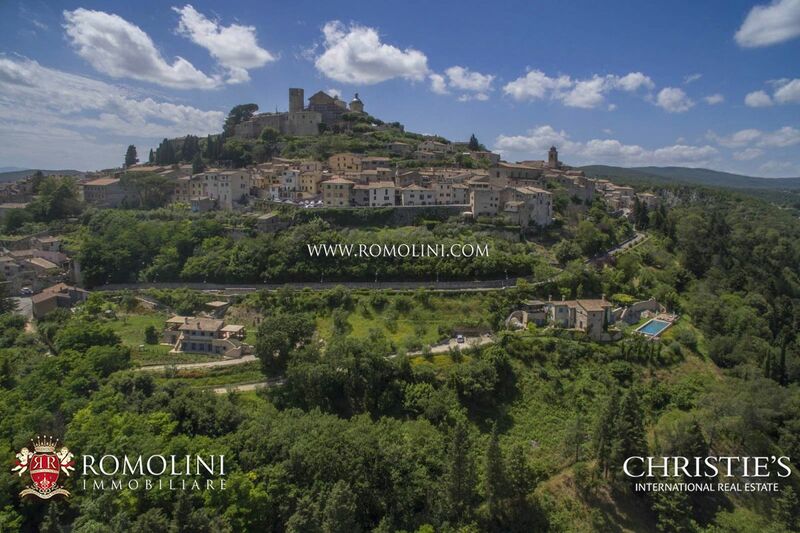 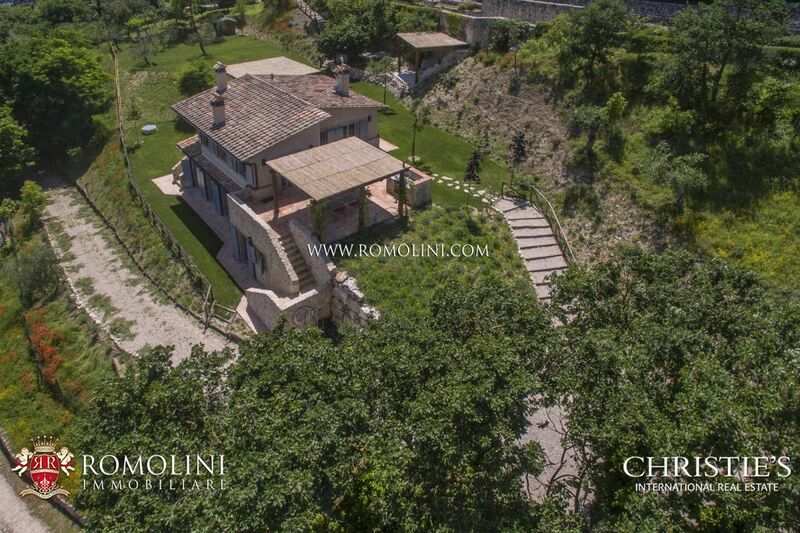 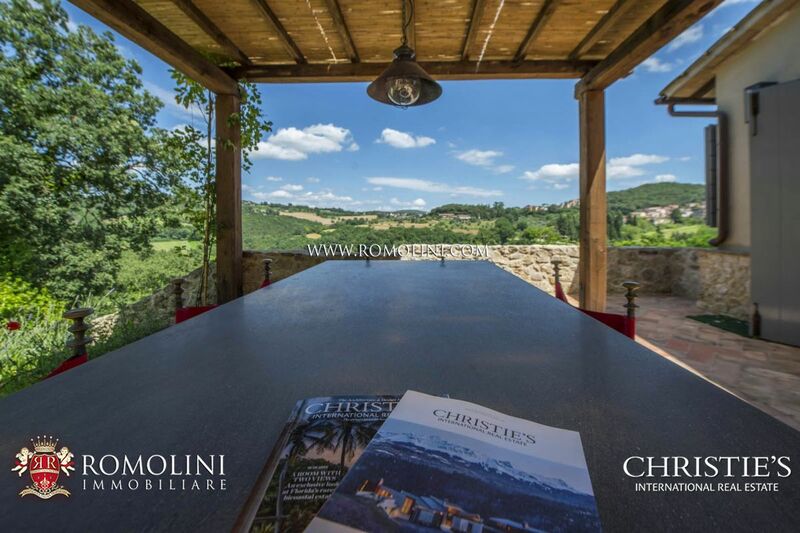 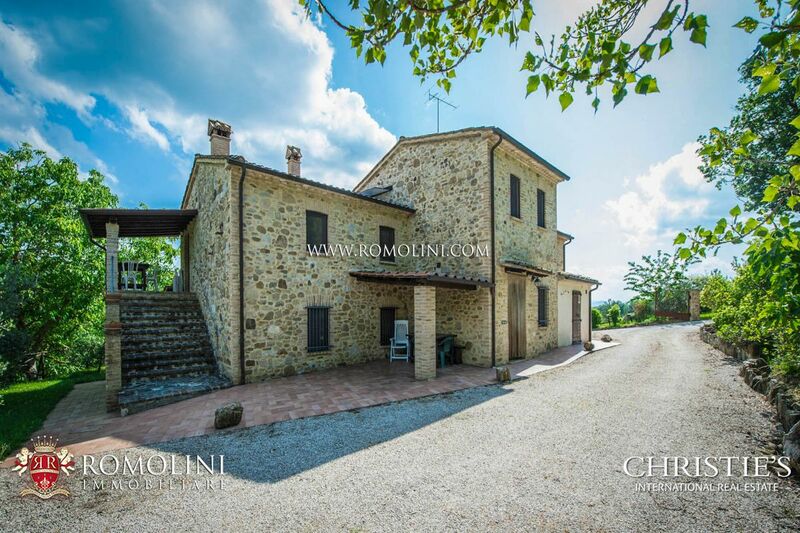 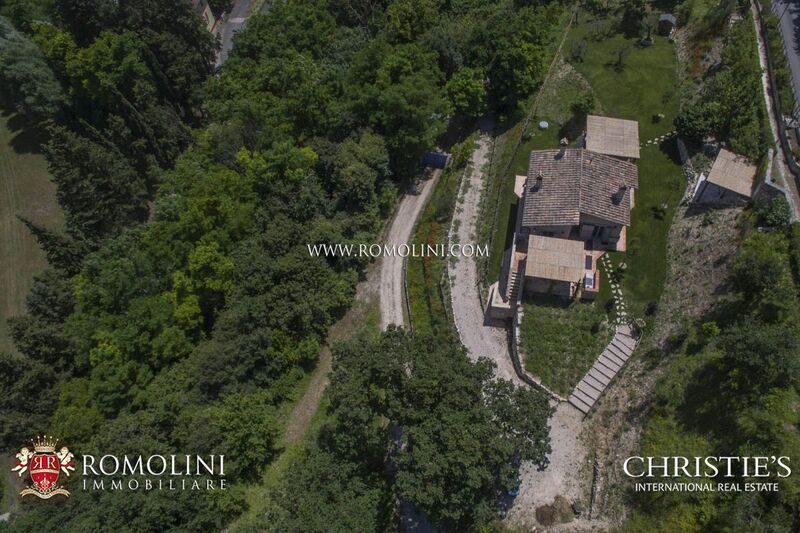 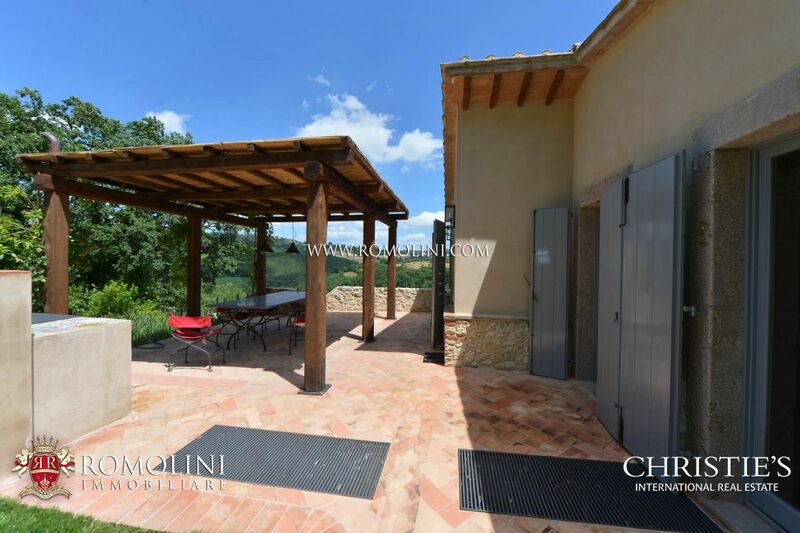 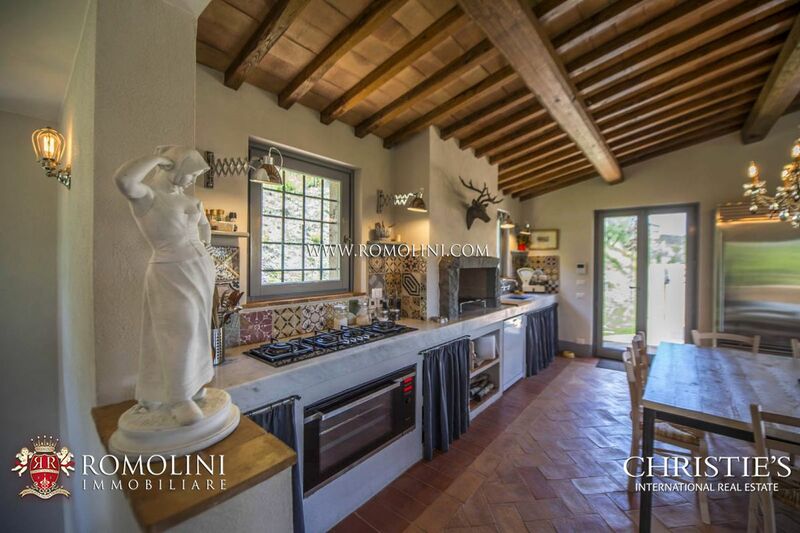 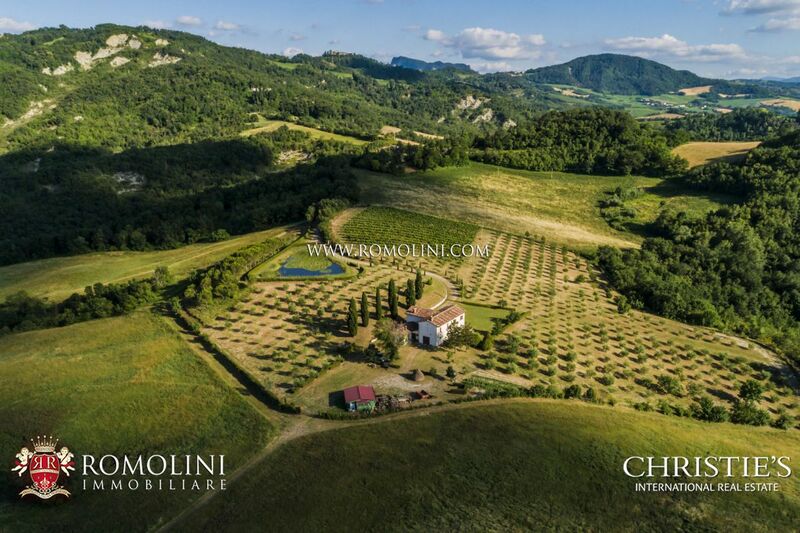 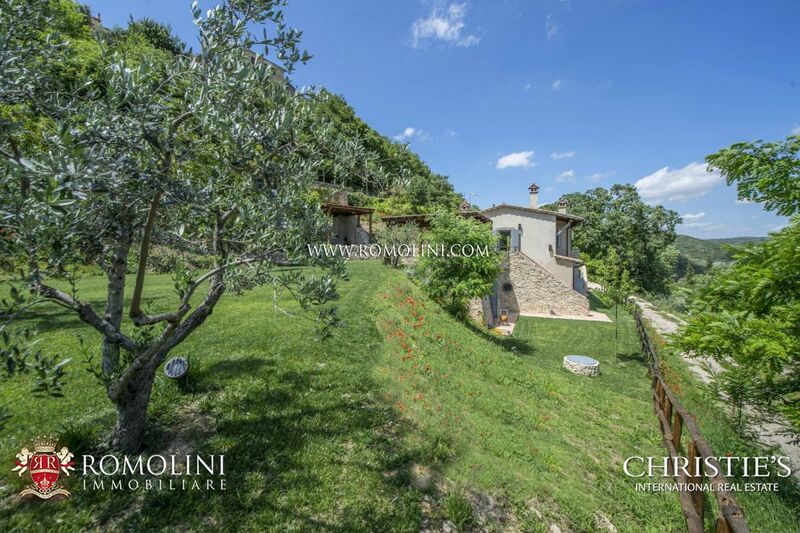 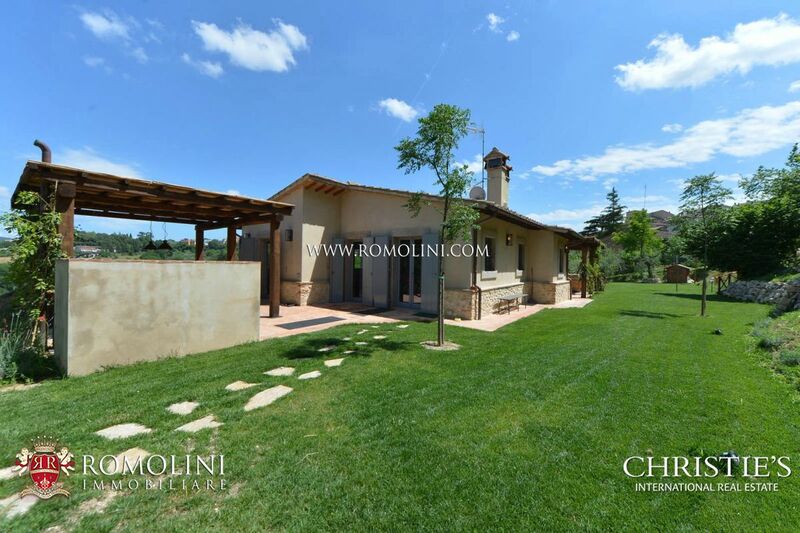 In Umbria, in the province of Terni, in Amelia, newly built villa with garden for sale. 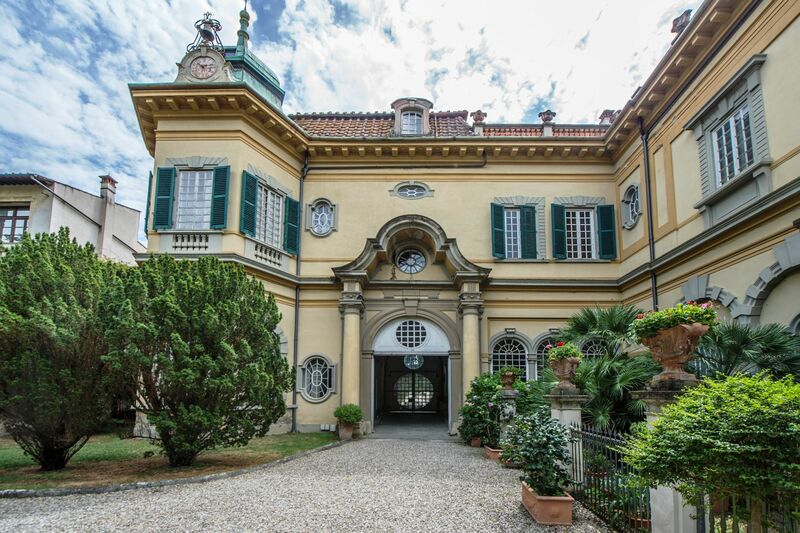 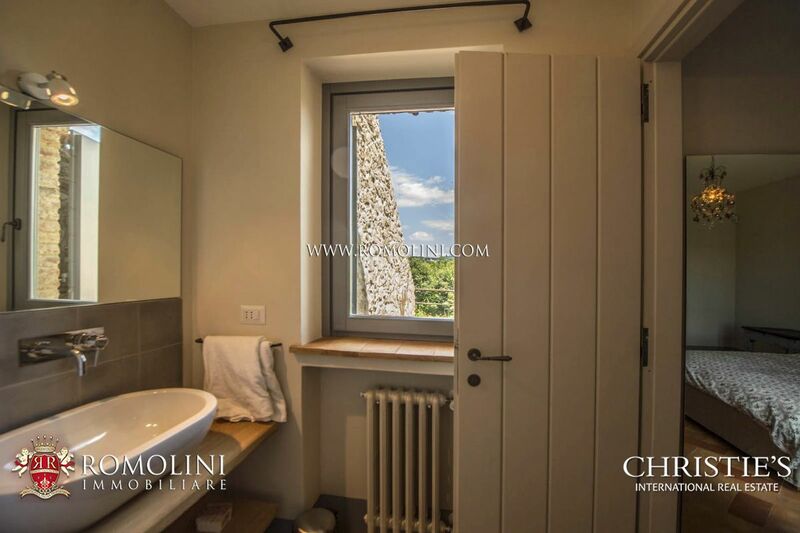 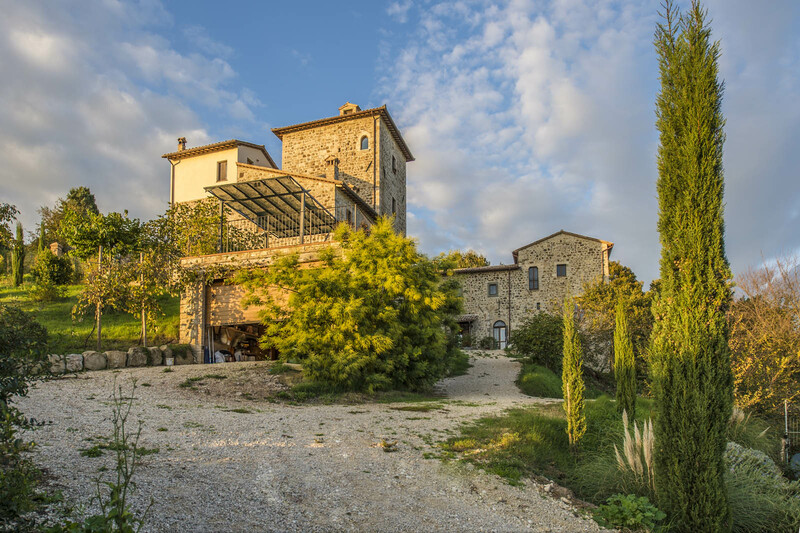 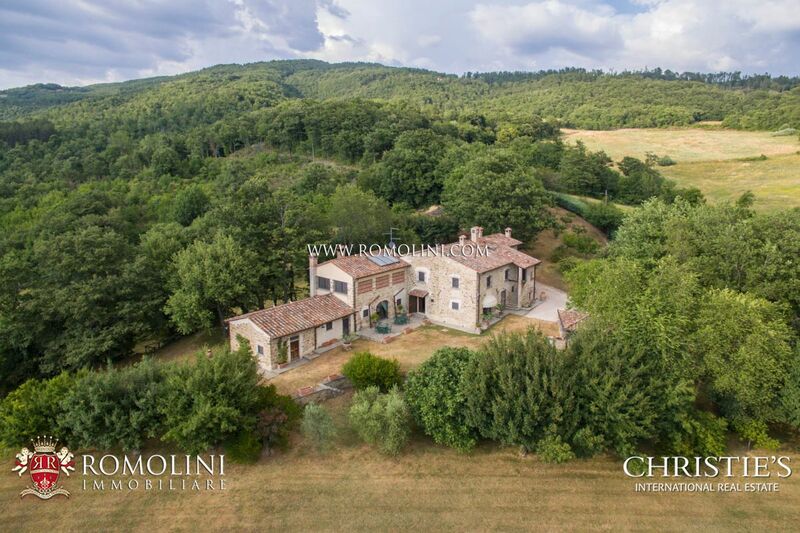 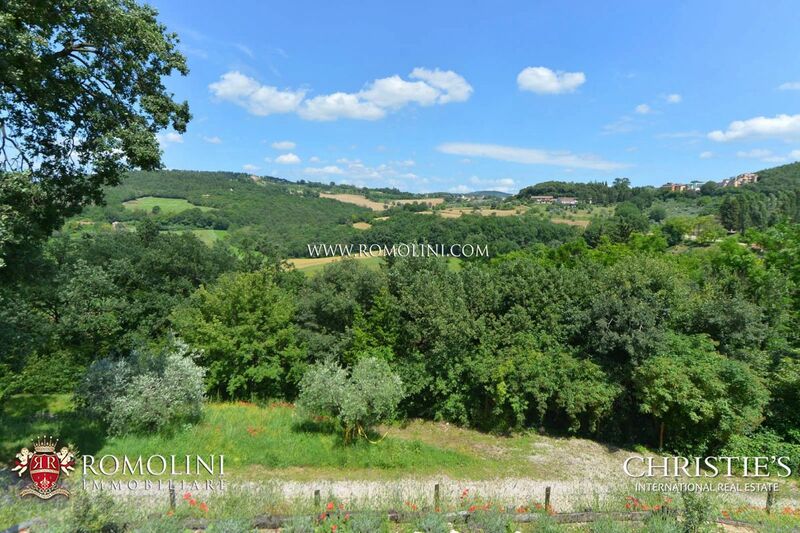 The property boasts a strategic location, since it offers panoramic views of the countryside, but it is only a few steps to the historic centre of Amelia and all the services. 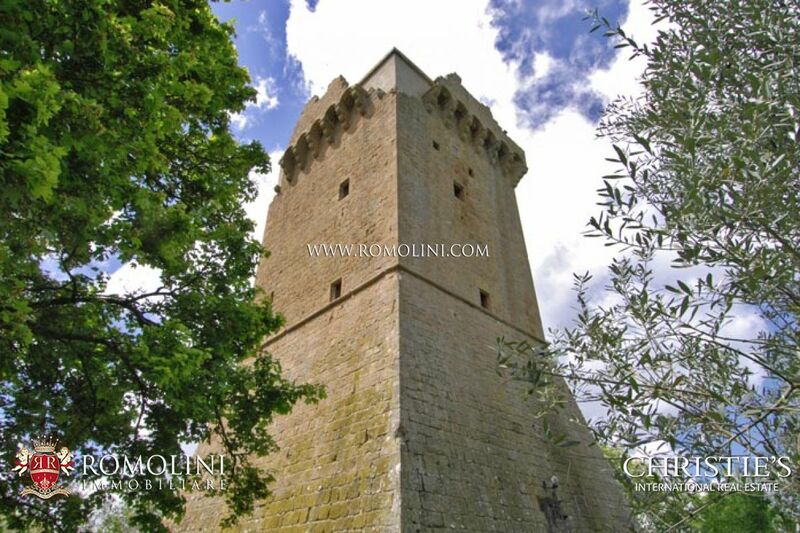 There are two entrances, a driveway and a pedestrian entrance, from which you can enter the historic centre of Amelia, beautiful town with pre-Roman origins, which has a lot of historic monuments and is surrounded by strong walls. 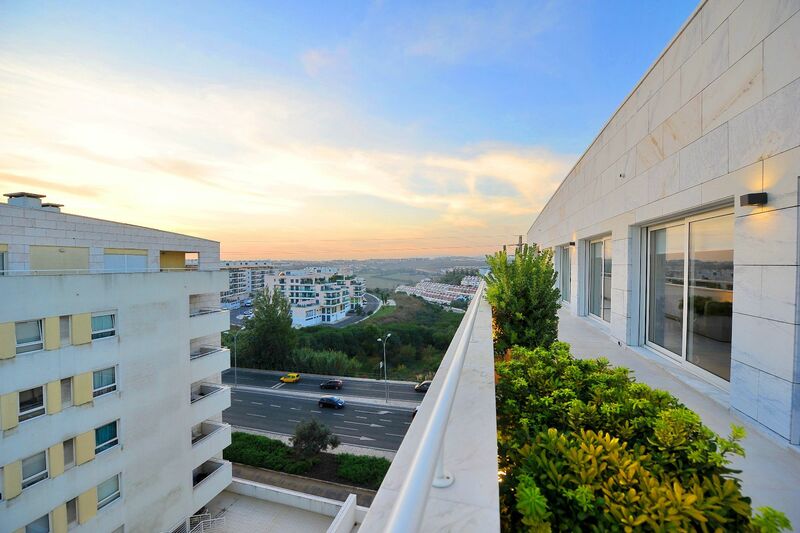 The villa is within easy access to the A1 Motorway and the E45 dual carriageway. 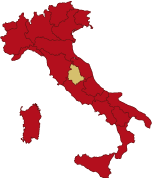 Rome and its two international airports can be reached in approx. 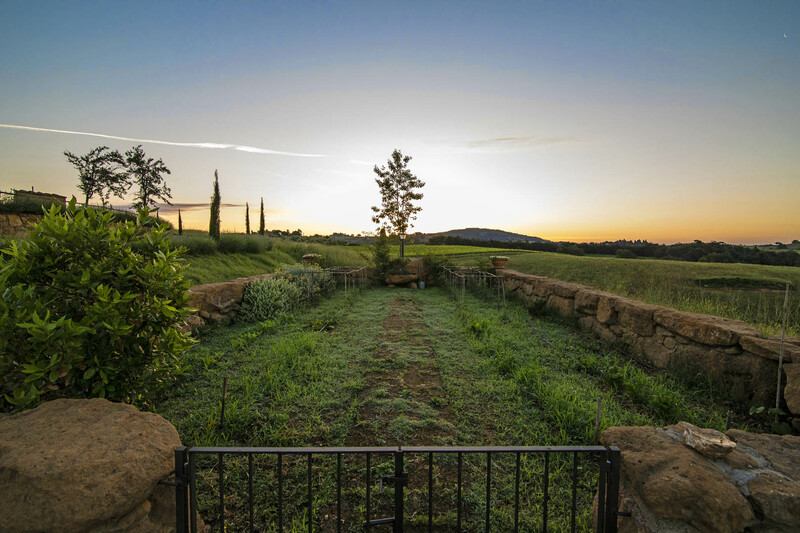 one hour and twenty minutes. 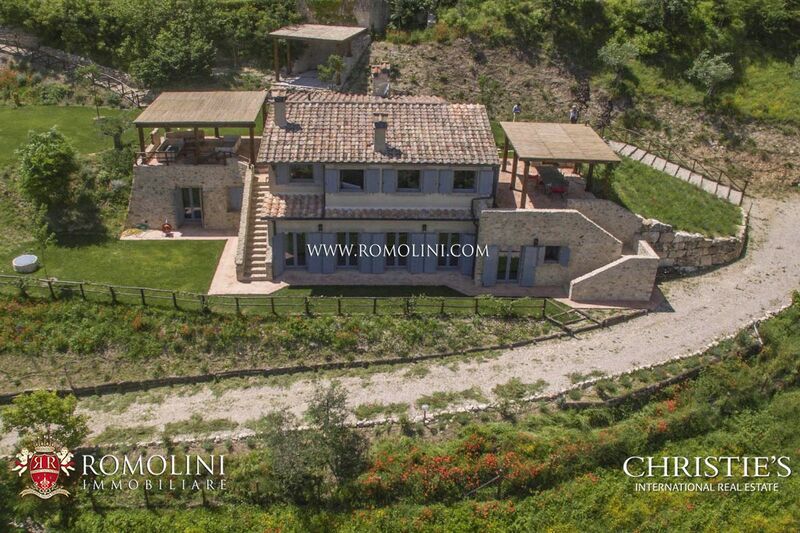 The villa has a surface of 220 sqm (or 2,368 sqft) and is laid out on two levels, composed as follows. 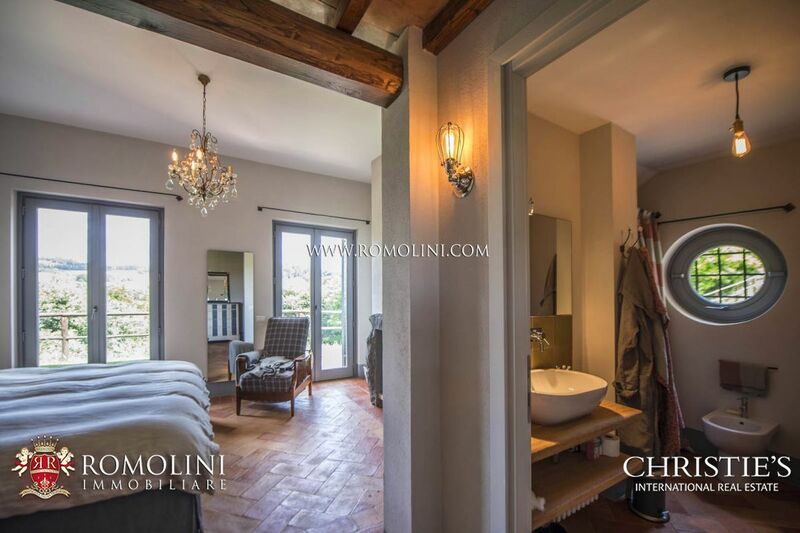 - Lower ground floor: Four bedrooms with en-suite bathroom and direct access to the garden, lounge with fireplace and utility room. 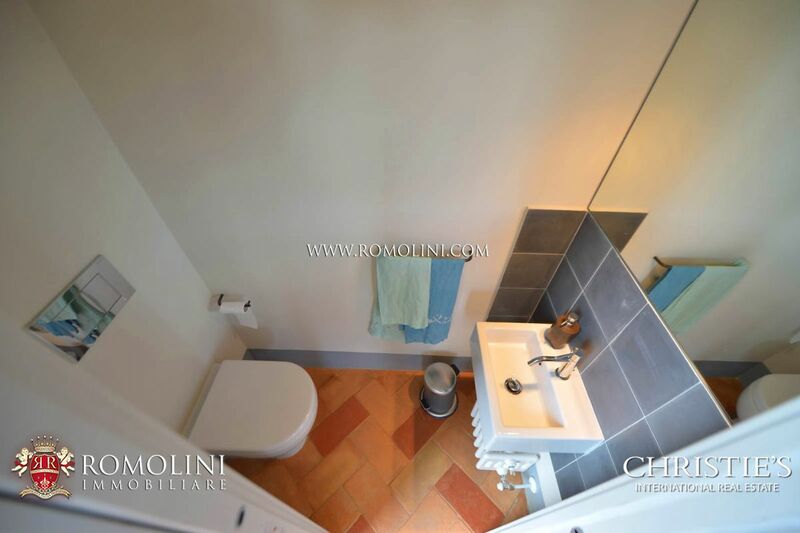 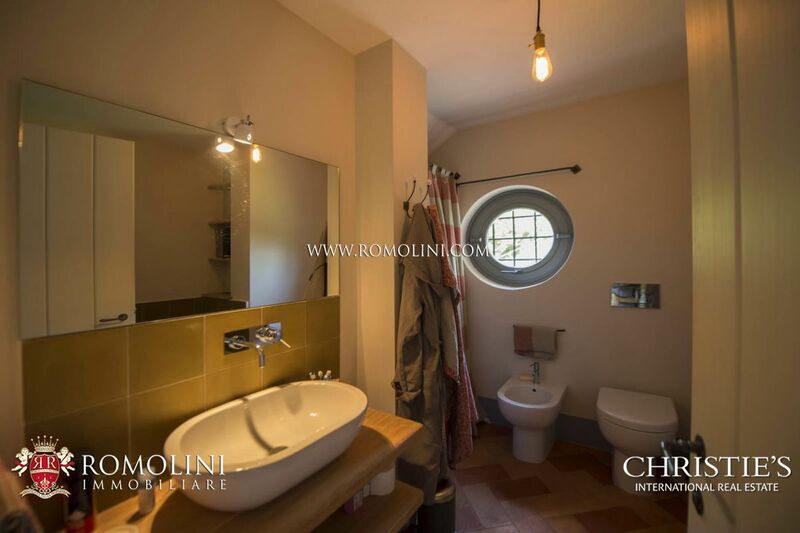 - Raised ground floor: entrance room, large living room with fireplace, dining room with kitchen, small sitting room, utility room and toilette. 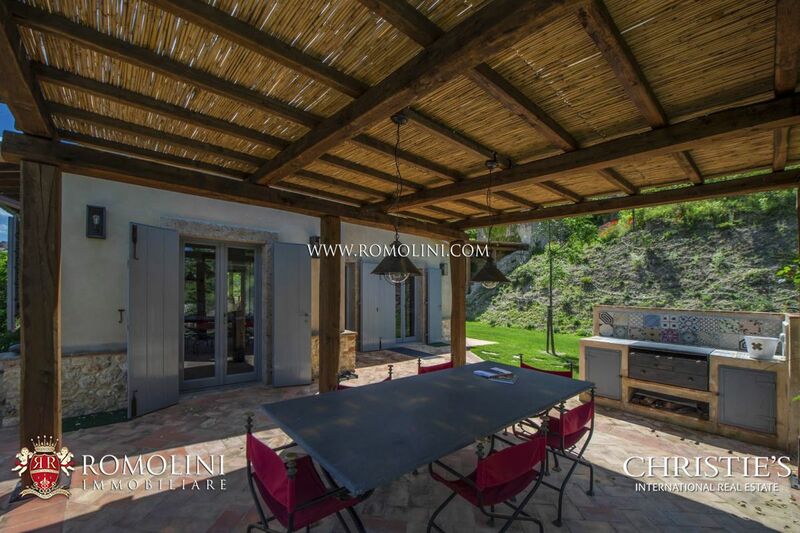 The living room opens directly onto the chestnut pergola. 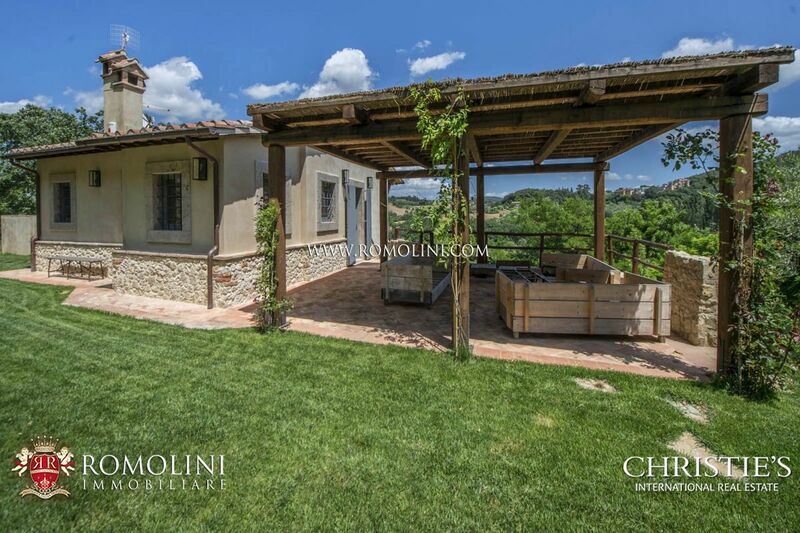 The villa was built to earthquake-proof standards, using reclaimed materials both externally and internally. 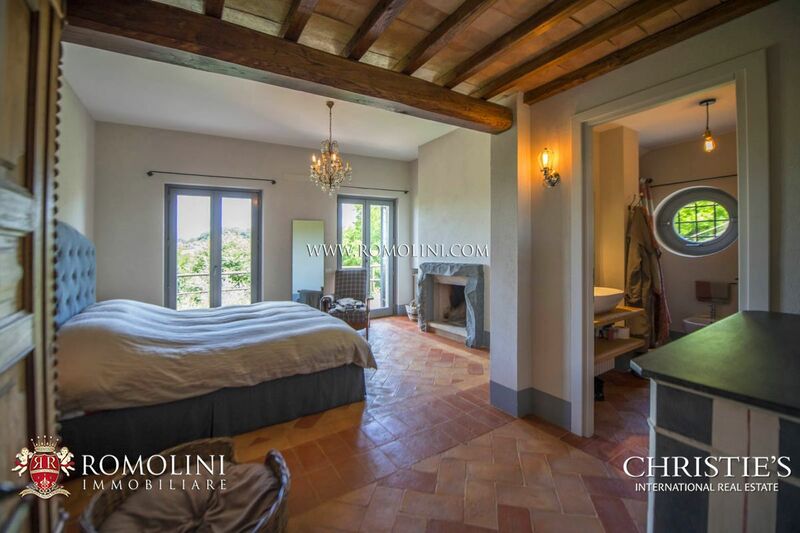 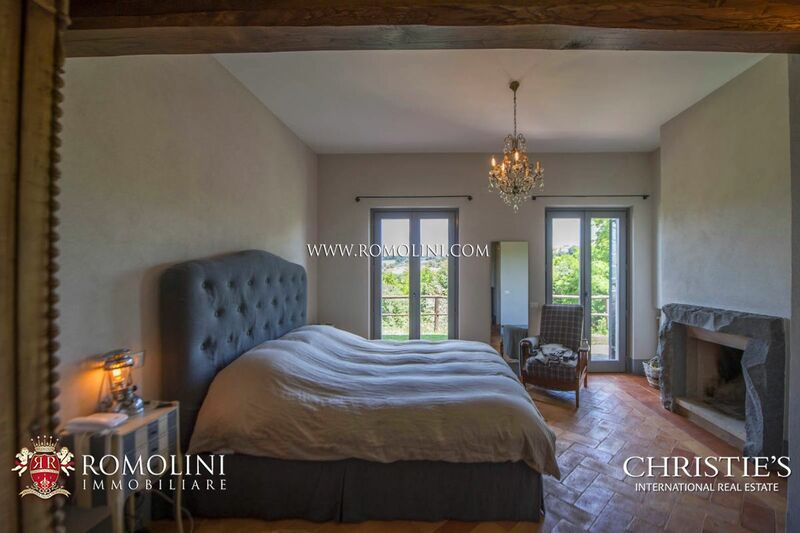 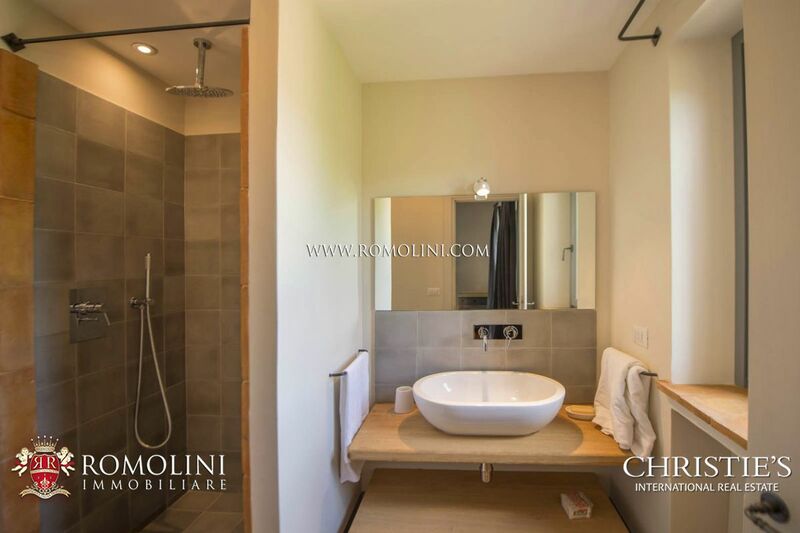 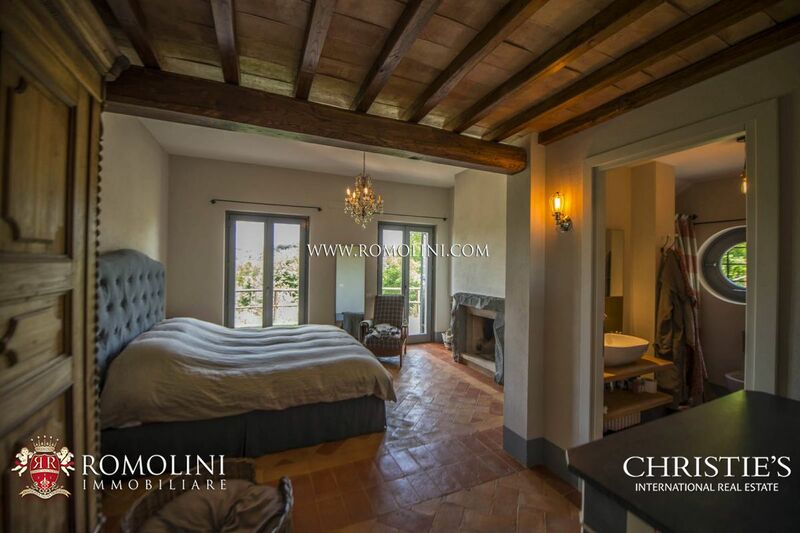 The property boasts luxury finishes and features terracotta floorings, marble sinks, ceilings with wooden beams and terracotta tiles, stone fireplaces. 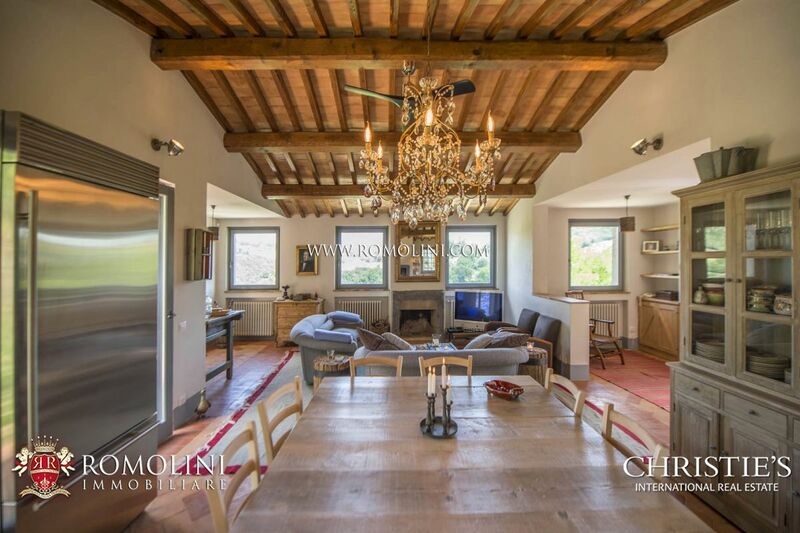 The large French windows with panoramic views make the villa bright and cozy. 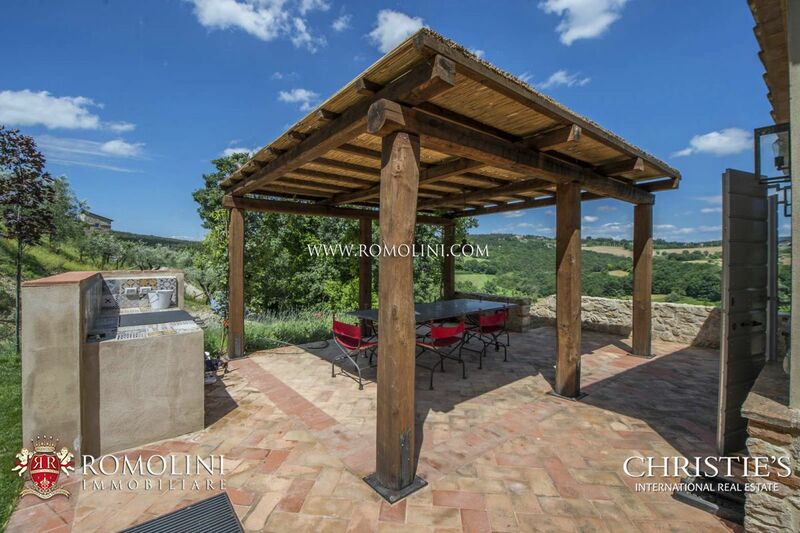 The property includes a paved terrace with panoramic views and a pergola with BBQ, ideal for al fresco dining. 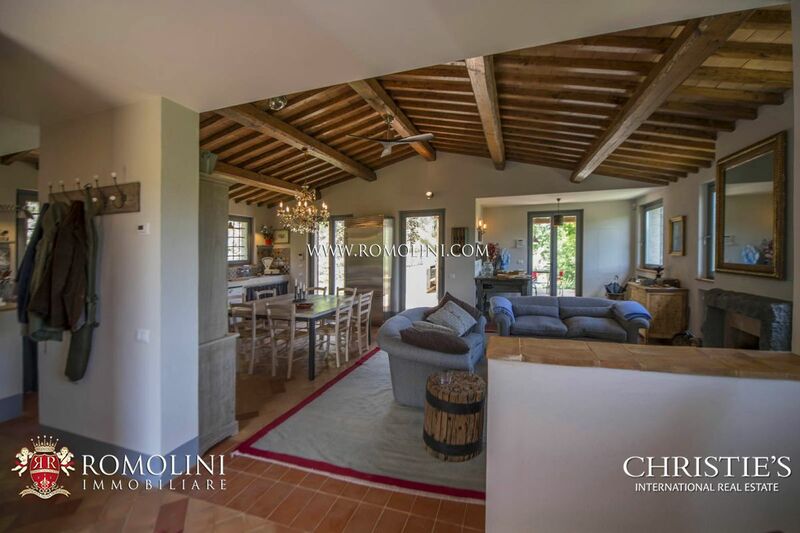 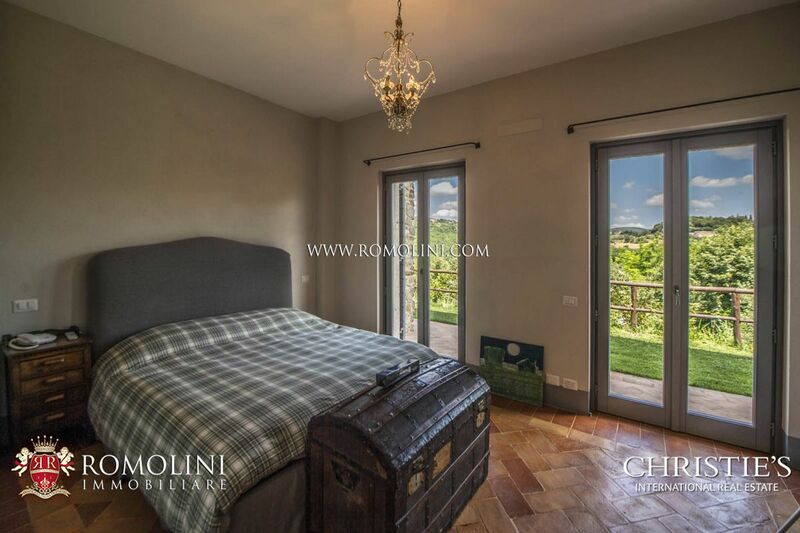 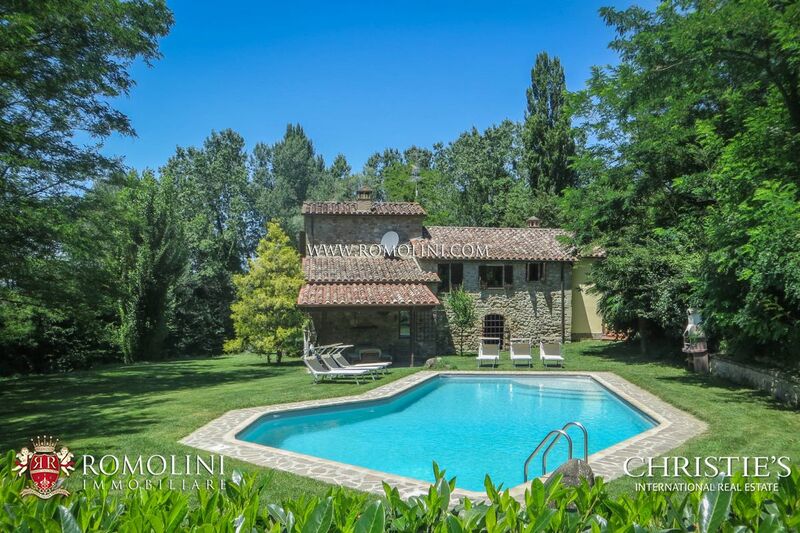 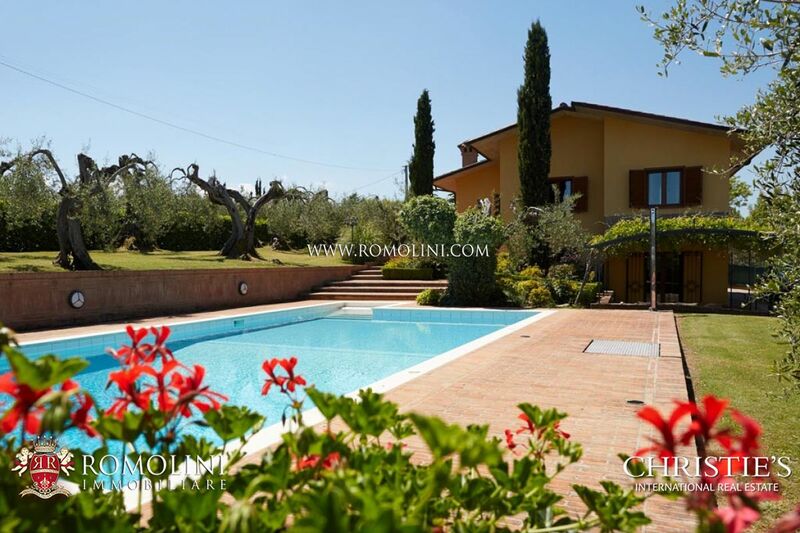 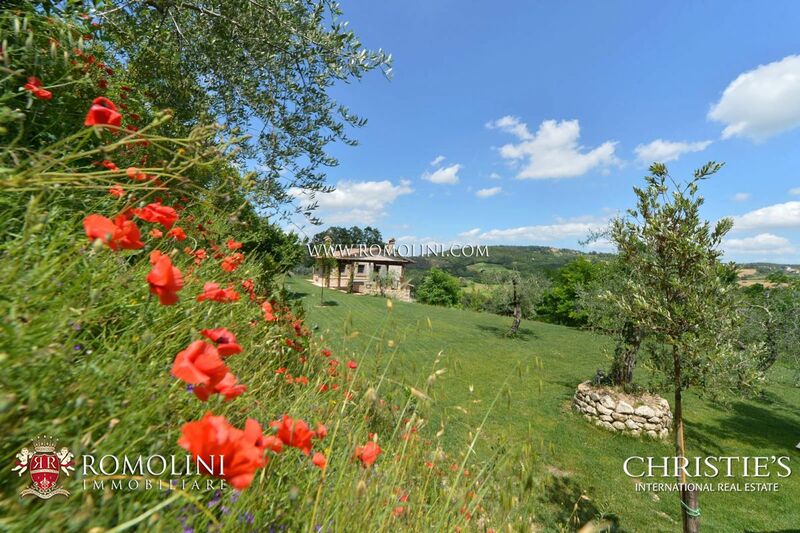 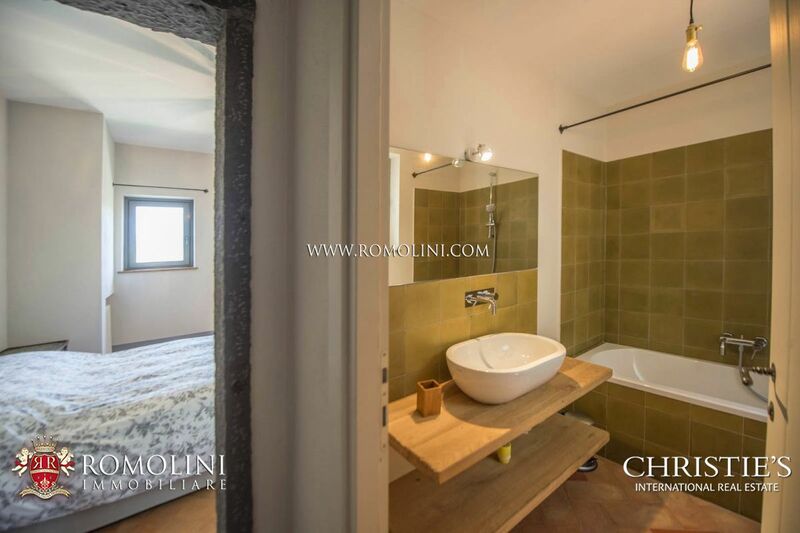 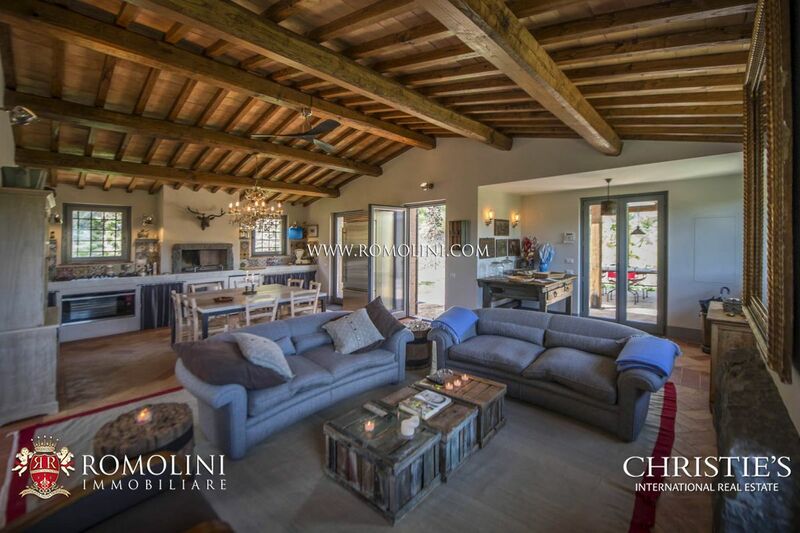 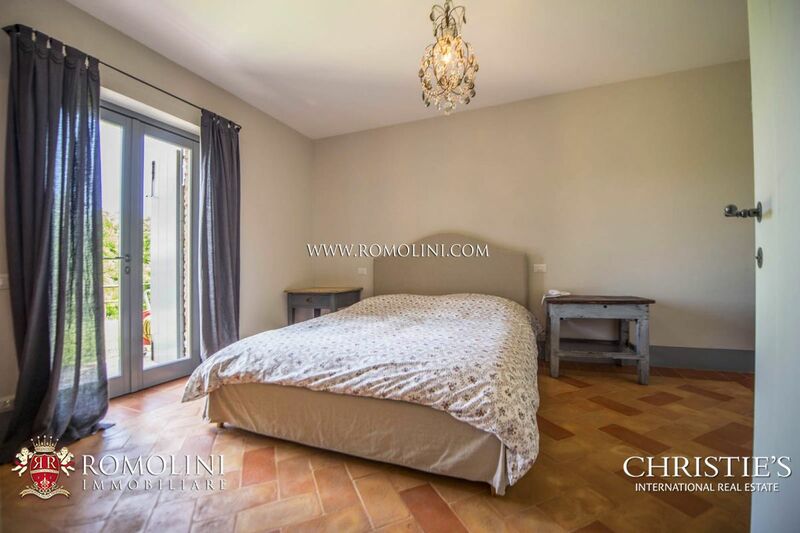 The villa is surrounded by a 2000 sqm garden on two levels, perfectly maintained and completely fenced-in, with parking area, fruit orchard, vegetable garden and olive trees. 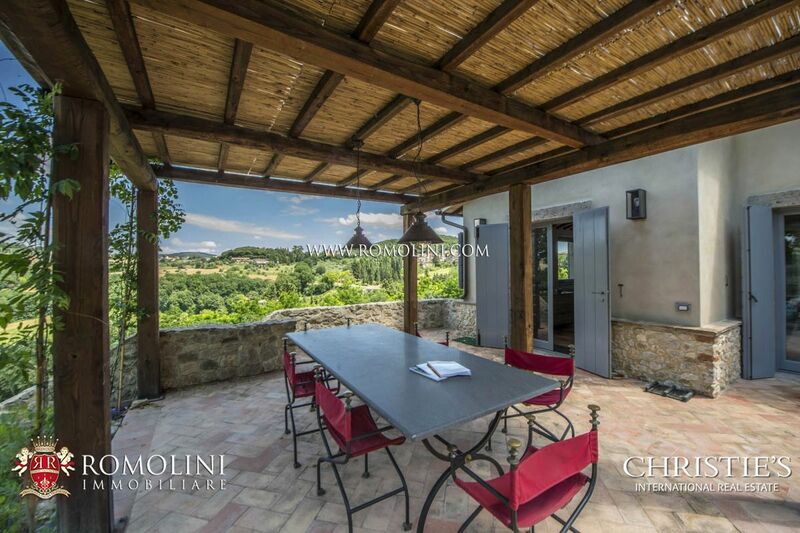 The property has a lot of facilities, a private garden and is within walking distance of the historic centre of Amelia, therefore it is ideal both as private home and as holiday home. 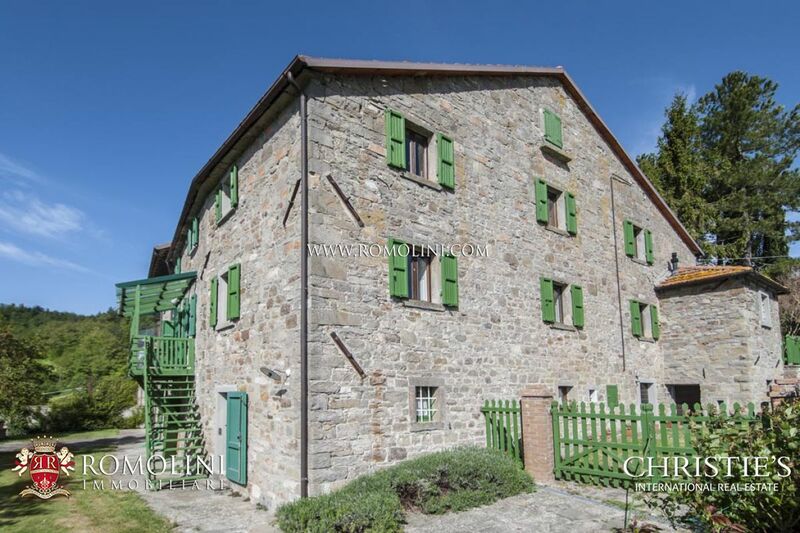 Given its convenient location, it is particularly suitable for a family with children. 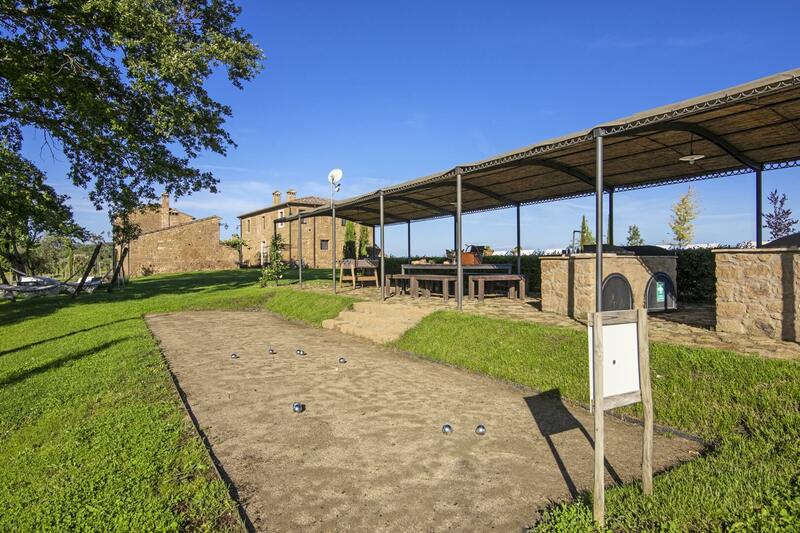 There is the possibility of building an above ground pool.